CTIA’s Beta Tests App For Responding to Policy Issues On Our Bandwidth Caps White Paper. Every now and then, somebody responds to something we did or said with such an inappropriate bullet point that we can only laugh. These often read like someone tried to use some application for picking key words and matching to bullet points, but the App is clearly still in Beta. The response of CTIA-The Wireless Association to our White Paper on Usage Based Pricing, aka bandwidth caps, surpases even these usual whacko responses. It ought to win some kind of prize. Perhaps the "Please Check your Magic Eight Ball Again" Award, given for a response that not only demonstrates that you failed to look at the executive summary and conclusion, but actually confuses people who did. It says something about the messed up world of telecom today that the “Connect America Fund” the FCC will vote on tomorrow has become the “what the heck are we going to do about IP-based interconnection” proceeding. In particular, the rather high-profile spat between AT&T and Comcast (and other cable companies) over access charges illustrates exactly the kind of cosmic cluster#@$! 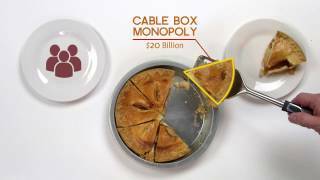 we predicted would happen if the FCC failed to classify broadband as a Title II telecom service. The story of Andre Vrignaud may well end up being the template for the soon-to-be-popular genre of “I just hit my data cap and now I cannot access the internet” stories. The long version is here, but the short version is that Vrignaud got a call from his ISP Comcast last month. The call informed him that he had hit his 250 GB monthly data cap. He wasn’t really sure why (he has roommates, they all stream movies and music regularly) but he chalked it up to one of those things. This month he got another call from Comcast telling him he hit his cap again. Because this was the second time, Comcast informed him that they were cutting off his internet access for a year. Sorry AT&T, Title II Would Not “Require” Paid Prioritization. AT&T has raised a bit of buzz recently with claims from their policy folks that under Title II, AT&T could still do paid prioritization (aka “fast lanes,” “toll lanes,” or, as I like to call it in honor of the man who so clearly laid out the concept “Whitacre Tiering” -- but that one sadly never caught on). The implication of these recent statements apparently being that (a) Title II is therefore sooooooo not worth it; and, (b) the demand by whacky-crazy-socialist-radicals to prohibit paid prioritization is just more whacky-crazy-radical-socialist stuff, so pay it no mind. I occassionally suspect my colleagues in the Public Interest community lack a sense of humor -- although perhaps it is simply that I am in a more relaxed frame of mind after my annual vacation from the 21st Century. 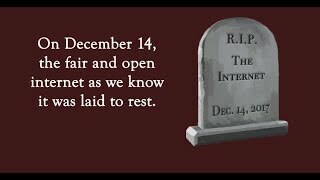 I am neither surprised nor outraged at the recent news that members of the Information Technology Industry Council (ITIC) are picking up where the FCC "secret meetings" left off and trying to come up with a net neutrality consensus framework. To me, it seems rather sad and funny. My only surprise is that even in Washington, the notion of an industry trade association working with its members is anything unusual or significant. I mean, that's what industry trade associations do after all.